Foam rolling is gaining more and more popularity among the weightlifting, powerlifting, and bodybuilding crowds. It’s also an extremely useful tool for anyone with mobility issues or pain in specific parts of the body like shoulders, back, hips, and the buttocks region. 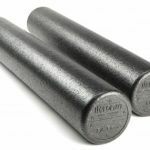 With this huge gain in popularity comes a fair amount of misconception – this article will aim to clarify how to build a foam roller routine to suit your needs. Just rolling over your entire body can provide some benefits, but constructing a targeted routine will benefit you much more in a shorter amount of time. Poor ankle and hip mobility: A great place to start is screening for hip mobility. It’s all in the hips! If you fail this test, I’d advocate foam rolling for your glutes, hip flexors, and a routine of hip stretching including lunges. 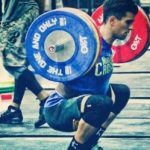 Squat mobility issues: Another excellent screening test is simply holding yourself in a squat position. If your heels come off the ground or if your back is rounded, I would recommend foam rolling the hips, calves, and working on ankle mobility. You’ll also want to do some core strengthening. Sciatica: Sciatica is caused by pressure on the sciatic nerve that can sometimes be managed by foam rolling the hip flexors and the piriformis. Try foam rolling the hip flexors, and the piriformis if you suffer from lower back and buttocks pain. 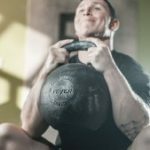 Poor shoulder mobility: One of my favorite ways to work out those shoulder knots is to put a lacrosse ball or tennis ball in a sock, then sling it over your shoulder and lean against a wall. This allows you to control the height of the ball and the pressure you place on the knots by pressing more or less aggressively against the wall. You can also roll with the ball under your shoulders flat on the ground, or use the foam roller to cover a wider area. Start rolling slowly over the target muscle and stop when you reach a knot or trigger point (it will feel sensitive and a bit tender) for around 30 seconds or until the discomfort starts to dissipate. Keep rolling over the entire muscle until you’ve applied pressure to all of the knots and the pain has started to dissipate some more. When first starting out you may need to put pressure on the points for several 30 second bouts. On frequency: I will roll as much as once an hour, but it is more realistically a few times a day. Roll as often as you feel comfortable, and be sure to roll before and after workouts to warm up and recover properly. Pick a good foam roller for your needs. You don’t need to spend a lot of money to get started, there are a lot of great budget options. You could even take a simple piece of PVC and roll on that to get started. I’ve written a pretty extensive review on all of the best foam rollers out there if you need some guidance. 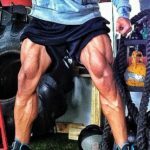 Breaking Muscle – Breaking Muscle is an amazing website resource staffed full of experts. Be confident knowing that you’re reading quality information. 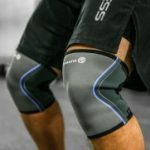 Mobility Guardian – A great resource for roller exercises, resistance band exercises, and stretching. We try to cover exercises that will be helpful for improving athletic mobility, and reducing chronic pain. 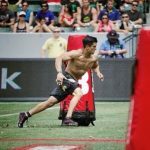 Thanks again for reading and I hope incorporating these tips helps you build a foam roller routine to meet your needs!